Box residents who recalled their stories about the shop at number 1, The Parade. over-stickered as Haines Agency (courtesy Anna Grayson). I remember the Betty shop though it wasn't a shop that I regularly went into. I do remember that if a client didn't pay their bill then a notice would appear in the window to broadcast the fact and being such a small community I suspect that it produced a pretty swift result. Just a note to add to your article. When we first married I lived in Monkton Farleigh next door to Mr and Mrs Betteridge who had no family but they said their two sisters kept the Betty Shop in the Parade, Box. We only knew them for a short while then they moved away so that is the only details I can give you. Soon after we moved to Box and stayed here. Mr and Mrs Betteridge who lived briefly at Monkton Farleigh were Amy’s brother, Frederick, and his wife, Ethel (nee Dovey). Everyone knew the Betty Shop in the 1950s; it was a landmark in the village. By the 1960s we thought the shop was very old-fashioned with everything kept in drawers in a wooden cabinet or behind the counter. And, of course, the goods they sold were not the fashions that young ladies wanted at that time. Buried in some papers, I found the booklet, shown above, relating to the laundry service run by Thelma Haines from the Betty Shop. My aunt used the service and I used to take and collect items for her. Obviously, I continued to use it myself for a time. 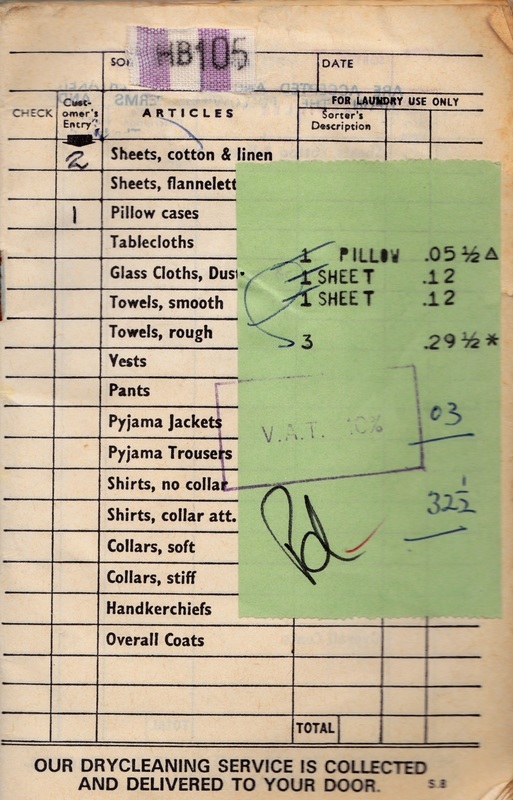 Note the prices and the advent of VAT in 1973 and the unusual types of goods which were laundered, such as glass cloths, dusters. This was a service to help housewives between the World Wars who didn't have domestic running water and a washing machine and continued after the Second World War who often took employment and lacked time to do their own laundry at home. 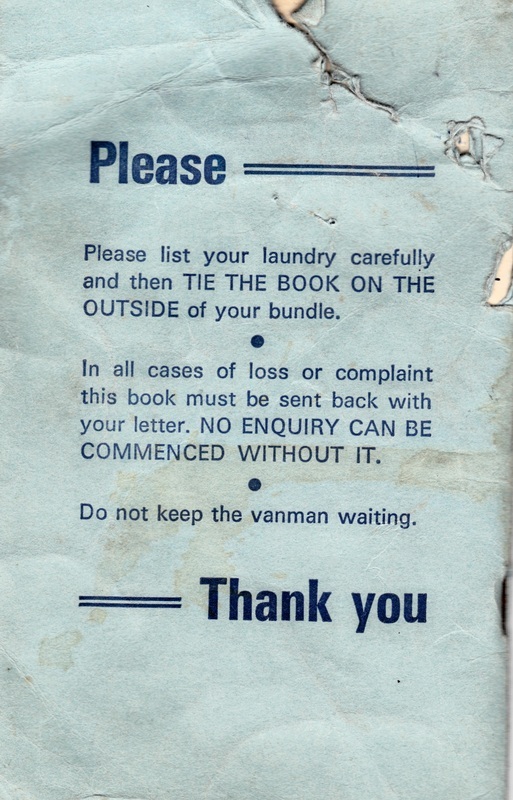 Right: By 1980 the laundry book was full up and individual cards were introduced to record which items were going to Tetbury Laundry for processing (courtesy Anna Grayson).